Hundreds of campsites have been established over the years and are apparent along many forest service and BLM roads. Use established areas as much as possible. Camping is limited to 14 consecutive days at all campsites. Campsites must be at least 100 feet from streams, lakes or riparian areas. Occupy as small of an area as possible. Avoid trampling grass and shrubs. Do not dig a trench around your tent site. Unless otherwise posted, you can only drive a vehicle 100 feet off of an established road to set up camp. However, you cannot drive off of an established road into an area if your vehicle would cause resource damage. So don't drive into wet areas, or in areas recently soaked by rain or snow. Using a stove is safer, easier and causes less impact than using a fire for cooking. Collect all cooking grease in a can and carry it out. Do not dump it on the ground. Collect "microtrash" by straining cook water and wash water. Then dump the debris in your garbage container. Small particles of food on the ground will attract unwanted insects and wildlife to the campsite. Bring firewood or collect deadfall for campfires. It is illegal to cut down trees, even if they appear to be dead. Be aware of local regulations; fire bans are common in the fall. Be careful with fires, do not leave them unattended. Put fires out every night. Do not bury trash; do not burn items that contain aluminum foil or any type of metal. After shopping, attempt to minimize the amount of packaging materials brought to camp. Less material means less garbage to pack out. When you leave camp for the day, store all food and garbage securely inside vehicles, trailers or bear-proof containers. Leaving food and garbage out will attract animals--including bears. Animals will chew through bags and force open containers. At camp, collect human feces in a bag or a bucket; then carry it out. Sanitary bags and chemicals are available at camp stores and on-line. Human waste at thousands of campsites is an environmental and sanitary concern. Pack out all trash. Inspect your camp carefully after it is packed up. Leave your camp cleaner than how you found it. 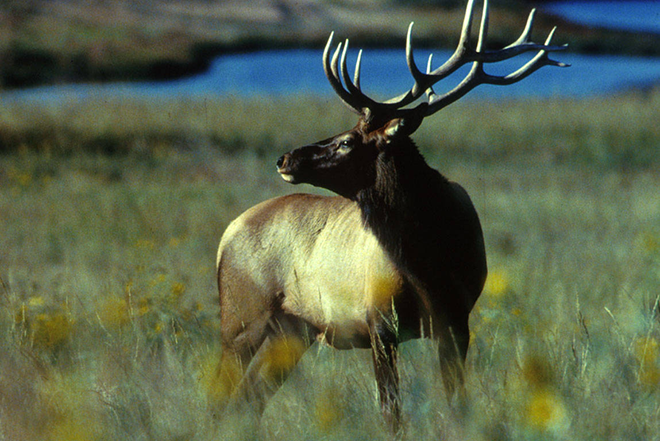 For more information about hunting and camping at state parks in Colorado, see:cpw.state.co.us.